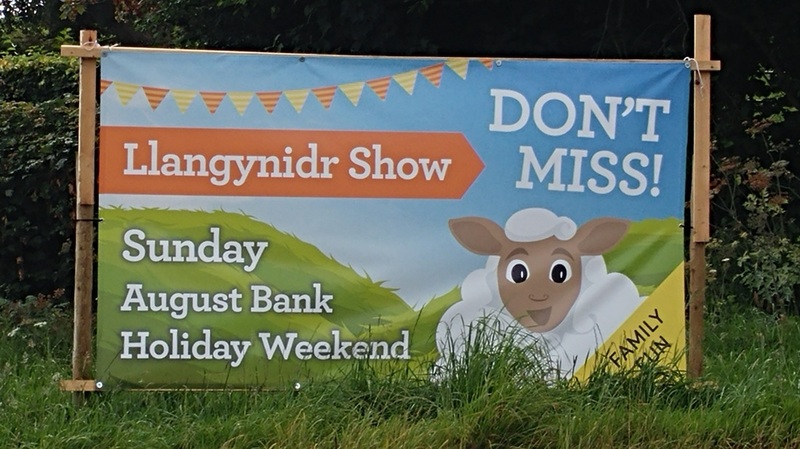 In the heart of the Brecon Beacons - the Llangynidr Show is a great day out for everyone. We pack a lot into this one day event. From agricultural, horticultural and craft competitions, to cookery demonstrations, sheep shearing and family activities, we are sure you'll be kept busy just deciding what to do next! Join us throughout the year to celebrate all that is great about farming, food and craft in our area. Every last Sunday of the month (except for Show Day & Christmas) we run a bustling Farmers' Market in the village hall. Located within the Brecon Beacons National Park and on the banks of the River Usk, Llangynidr (map) is easily accessible from mid-Wales and the South Wales valleys. Llangynidr Agricultural Show Society (LASS) is a Registered Charity (No. 1125435) with the aim of raising funds to promote agricultural and horticultural activities in the local community.